The pharma-retailer will kick off its biggest campaign ever with an extensive media buy and special in-store promotions. 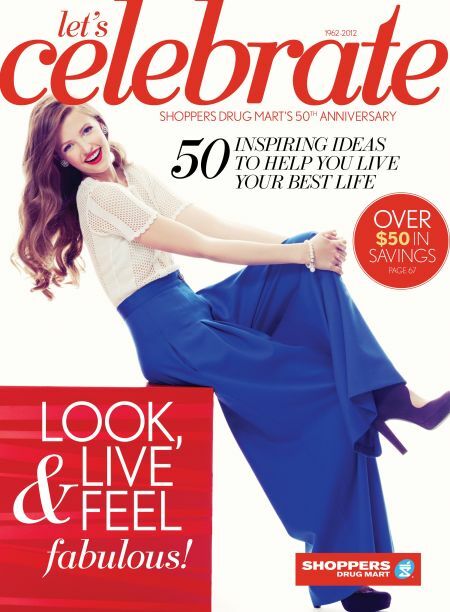 To celebrate its 50th anniversary, Shoppers Drug Mart will launch its biggest-ever campaign that will include in-store, TV, print, and a digital hub. The promotional campaign runs in two phases, says Sandra Sanderson, SVP marketing, Shoppers Drug Mart. The first will be a digital hub, by Toronto-based Trapeze, which launches on August 13, inviting Canadians to share their memories of Shoppers. The second half – the actual birthday celebration – goes live September 8 and includes and in-store component, supported by the company’s largest media buy ever, running over 16 days. The creative, done in-house, centres around the red gift box logo, which will be heavily featured in-store, while the theme of the campaign focuses on the three Shoppers’ pillars: health, beauty and convenience. Within the aisles, Shoppers will decorate the stores with the bright red gift box, while employees don custom T-shirts. A 50th anniversary commemorative magazine was produced by St. Joseph Media and in-store promotions will run the gamut of the 16-day campaign. Further, Shoppers approached manufacturers early on, inviting some key brands to participate in the 50th anniversary, with the goal of making sure each area of the store contains a branded anniversary promotion or pack. The anniversary will be promoted through a special Shaw partnership, with the campaign promoted over ET Canada through shout-outs, sponsored segments, in-store shoots, and promo spots with ET‘s cast members. The entire campaign will be live during TIFF, she says, which provides the retailer with some red-carpet opportunities as well. Media, handled by Aegis, will also live on Global, Slice, HGTV, as well as through print, radio, and an extensive digital buy, targeting Shopper’s core audiences of women, age 25 to 54.